Paul Barnett takes us through Paul's exposition and explanation of the gospel to the Christians in Rome. Paul's letter to the Romans is brilliant; it's an explanation of the gospel - the power of salvation for all who believe. Paul takes us from sin to justification by faith. 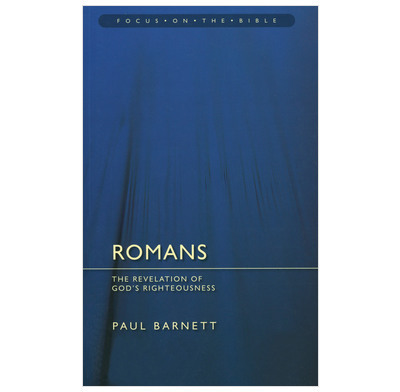 Paul Barnett's refreshing commentary is marked by warmth, clarity, careful exegesis of the text and a fine grasp of the historical circumstances surrounding this letter.